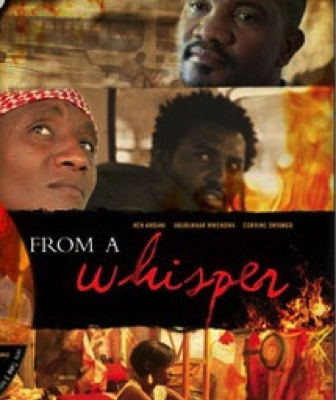 As the title suggests, From A Whisper gives an intimate look at the effects of the 1998 bombing of the US Embassy in Nairobi – a look that softly builds from a whisper to a scream. The film seamlessly integrates footage from the actual attack, yet centers on the relationship between a young woman who lost her mother in the blast and the man whose best friend was the perpetrator. As the stories interweave across time and space, the characters explore the possibilities of forgiveness and healing in the face of violent loss. 2013). Journal of African Cinemas 7, no. 2 (2015): 79-96.